Ageing and environmental assaults such as too much sun, hormones, stress and pollution affect not only the way your skin looks and feels, but also your skin’s health. The Obagi® Nu-Derm System is a physician-prescribed skin care system that actually corrects the functions and health of your skin. The System transforms your skin at the cellular level, resulting in skin that looks and acts younger and healthier. What are the effects of ageing and photo-damage on your skin? As your skin ages, the turnover of skin cells slows significantly, throwing off the balance between the growth of healthy new skin cells and the sloughing off of old damaged skin cells. Collagen and elastin begin to slowly break down, causing the skin to lose its resilience, resulting in fine lines, wrinkles and sagging. Daily exposure to UV light accelerates this aging process and causes uneven pigmentation. Skin becomes rough and wrinkled as dead surface cells accumulate. 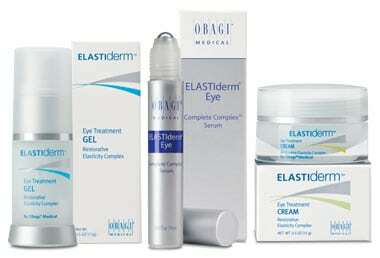 Why does the Obagi® Nu-Derm System transform your skin? 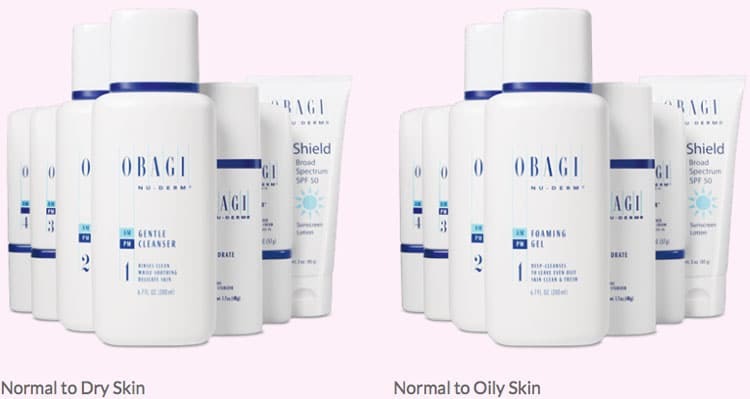 The Obagi® Nu-Derm System penetrates below your skin’s surface, transforming skin cell functions at the cellular level and correcting the damage within your skin. Administered using a specific sequence of dosage and frequency that’s right for your skin condition, the prescription-based System triggers a therapeutic cascade that makes your skin look and act younger and healthier. While you may have diligently maintained the skin on your face for years, you may not have paid as much attention to the skin on your chest and neck. However, the skin on your décolletage is particularly vulnerable to visible signs of aging, since it tends to be thinner, less moisturized, and often overlooked in the sun protection regimen. Revitalize your décolletage skin with the ELASTIderm Décolletage System for younger-looking skin. Complete system with 2 effective products to help improve the signs of skin aging on your chest and neck. A one-of-a-kind eye product that really works to rebuild the appearance of more youthful eyes. 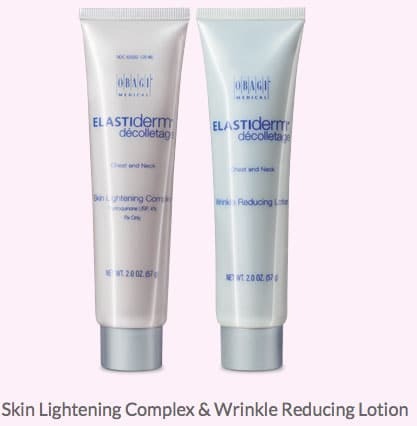 The ELASTIderm Eye Product line includes Eye Cream, Eye Gel, and Eye Serum that help to revitalize the skin around your eyes with clinically proven ingredients. For firmer, more resilient-looking eyes, refresh your skin’s appearance with a full line of eye products formulated with clinically proven ingredients. The CLENZIderm M.D. System is an acne skin care system that includes unique formulations, including the active ingredients benzoyl peroxide (BPO) and salicylic acid, that penetrate into the skin and target acne where it starts. This unique acne treatment system with clinically proven ingredients is available in 2 customized sets based on skin type. 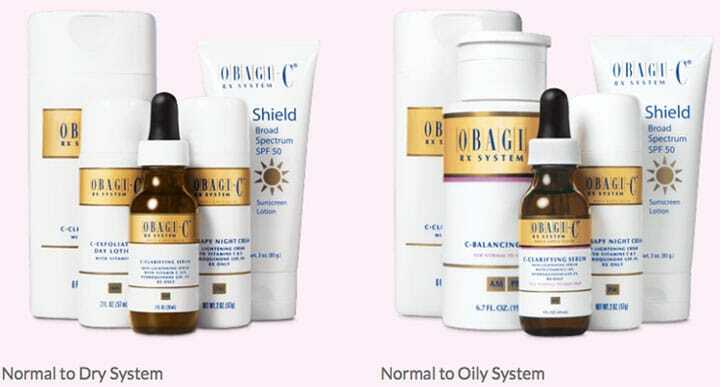 Address early signs of skin aging and skin damage with a unique regimen that combines the benefits of both prescription-strength hydroquinone and Vitamin C.
With Obagi-C Rx, you’re on your way to softer, smoother, radiant, and more even-looking skin. 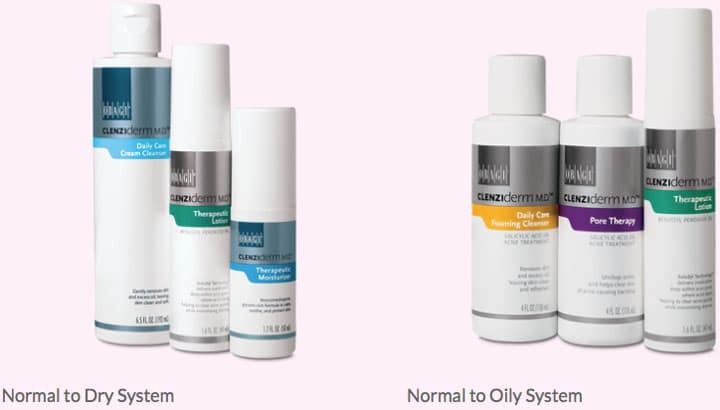 The Obagi-C Rx System offers the benefits of both prescription-strength 4% hydroquinone and Vitamin C to address the signs of skin damage and help obtain and maintain younger-looking skin.